How did Kids Yoga Stories get started? I was flattered to be interviewed by Lane Kennedy, the co-leader of the San Francisco Mompreneurs group and featured as the June Mompreneur. Check out the interview below and see how I started the creative process to bring the Kids Yoga Stories alive. I can’t emphasize enough how much I’ve loved the process and what a gift it is to find my creative passion and be able to share it with the world. Please don’t hesitate to get in touch if I can help you to self publish your books. I didn’t find it easy to find specific information on publishing children’s picture books. Here’s to doing what we love! Tell us about you and Kids Yoga Stories! I wrote a whole collection of kids yoga stories six years ago when I was considering being a Kids Yoga Teacher and realized that there were limited resources integrating meaningful stories and yoga poses. I brought together my experiences as a Primary School Teacher and certified Yoga Teacher. Over the years, I have worked with different groups of children and read them my stories. The response was positive! 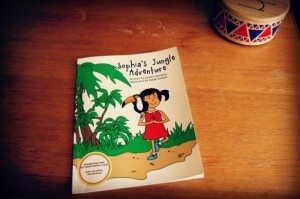 In January of this year, I decided to self-publish the books and now have 2 storybooks and 1 coloring book. I had found 2 different illustrators through www.elance.com and received feedback from 30 friends/family. 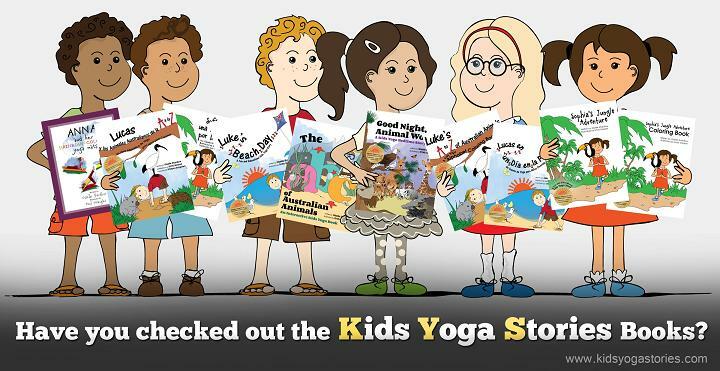 I created a website at www.kidsyogastories.com and regularly post on Facebook. I am loving every minute of the process! My first career was as an International Primary School Teacher. Since then I’ve been lucky to work in lots of different fields, including starting my own Corporate Yoga business in Sydney and working as a Recruiter for Early Childhood Education. What makes you unique and makes Kids Yoga Stories different from anyone else out there? Six years ago, I couldn’t find anyone integrating story and kids yoga. Now there are a few people doing similar work, but my point of difference is my teaching background and my desire to bring yoga off the mat. So that children can experience ‘yoga’ in a yoga studio, but also in their homes, on their trips, or at a park. My main goal is to integrate reading, movement, and fun to ultimately increase comprehension skills, reduce stress, and increase body awareness. What accomplishments are you most proud of in Kids Yoga Stories so far? Get support! You are not alone and there is a powerful network of other mompreneurs if you need to brainstorm or ask questions. I also have a nanny one day a week for six hours which is invaluable in enabling me to write more books.